Falconry is a great pastime for bird lovers, who appreciate seeing birds of prey in their natural habitat and being able to fly them, and watch them hunt. 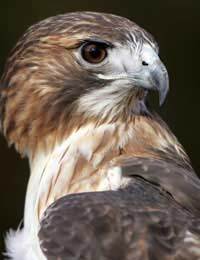 Owls, hawks, eagles and falcons are all specially trained to fly into the gloved hands of the handlers, take wild quarry to a specific site, or participate in free-flying displays before an audience. Falconry can teach children of all ages about how to care for and respect birds, and also about the necessity of protecting endangered ones. Children who go on to become falconers learn the skill, determination and patience included in handling these wild birds. Many birds of prey centres or falconries exist throughout the United Kingdom, which are often sanctuaries for birds that are endangered, or in threat of becoming endangered. Some falconries promote themselves by selling vouchers for falconry experiences, where people can come for a day or half a day and participate in handling birds of prey themselves. If your child is interested in such a "taster", look online for special days available for children of almost any age, which involve allowing the child to handle a bird wearing a special leather glove, and watch it fly to a specific destination. Be aware that sometimes the children are also allowed to feed the birds to encourage them to fly, which can mean giving them a chicken head or something similar – not for the squeamish! Some falconry centres – as well as larger zoos - have special shows where children can watch birds of prey fly and show off other skills. Some also offer special falconry fun days for kids, where they can – for a fee - experience the hands-on thrill of falconry for themselves. Children spend a day or half a day learning the basics of falconry, then have an opportunity to try handling the birds themselves- under the advice and guidance of experience and accredited falconers. Many falconry centres have age restrictions, but often children as young as six can take part, or even as young as two in some falconries, with an accompanying parent or guardian. Children are advised to wash their hands rigorously after handling the birds, and anti-bacterial hand wash is provided. People who are serious about falconry may want to join the British Falconers Club, which is the oldest of its kind in the United Kingdom, having recently celebrated its 75th anniversary. Members help both preserve the ancient art of falconry and existing birds of prey, through events held throughout the year. The Club also helps people become accredited falconers, although it recommends that people under age 16 do not keep hawks unless they are under the guidance of an experienced falconer. If you have a child who is interested in falconry, take them first to a zoo or falconry centre, where they can watch birds of prey in action. Some children might find that’s enough, while for others it might whet their appetite to learn more about falconry. Don’t pay for a series of lessons, however, unless you are sure your child is truly interested in falconry. Junior falconry programmes are available for older children, but don’t make the investment unless you know your child is serious about learning more about falconry. A five-day hawk management course, for example, will teach your child not only how to fly a hawk, but also about the upkeep involved in actually keeping a bird of prey, including diet and proper weight management. For those who do go on to continue, however, falconry can become a lifelong hobby, which can not only bring personal enjoyment but also help increase knowledge about endangered birds and how to protect them.